When it comes to organising a picnic there are three important factors to keep in mind: the location, the food and the company. We had a beautiful view of the Eiffel Tower and, as the sun set, the Iron lady started to light up gradually until it sparkled on the hour at night. It was definitely a magical evening. We bought some French rosé, a good French camembert, a baguette, some fresh fruit and a beautiful pink Hortensia to decorate (you can easily find these bits locally in Paris). The one thing we did forget was a wine screw but thankfully we met some girls by the river who were better prepared than us and helped open our bottle of wine. 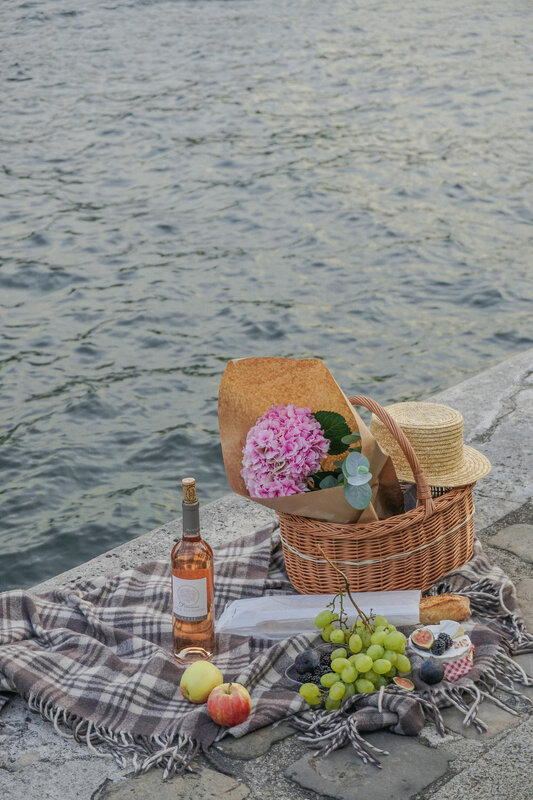 Where's your favourite spot in Paris to have a picnic?